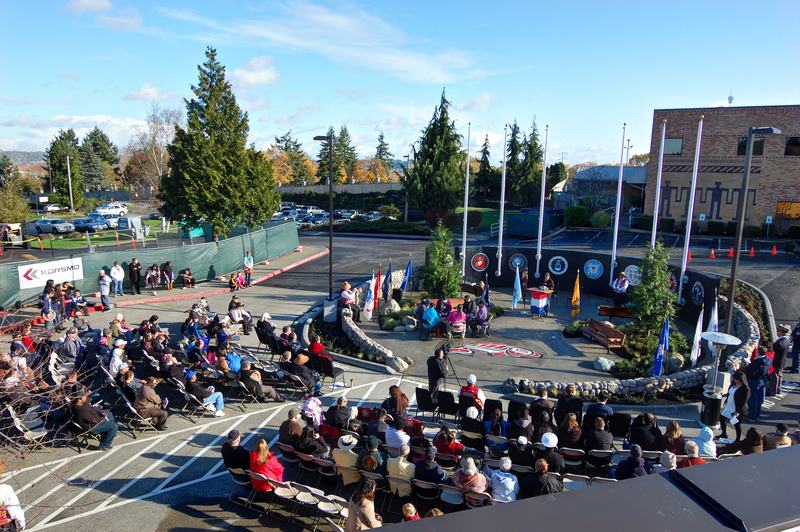 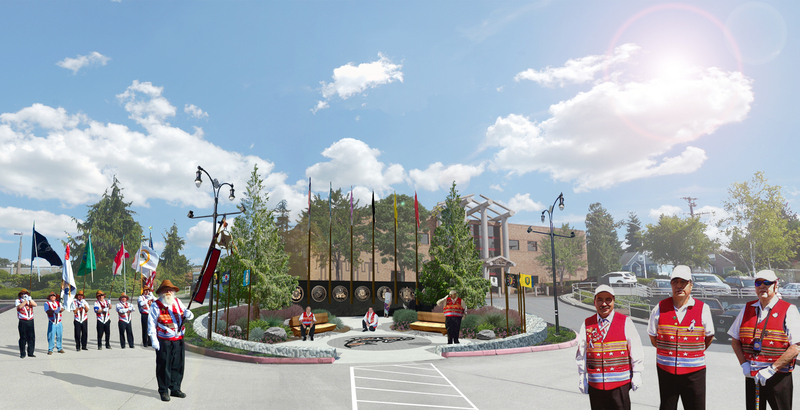 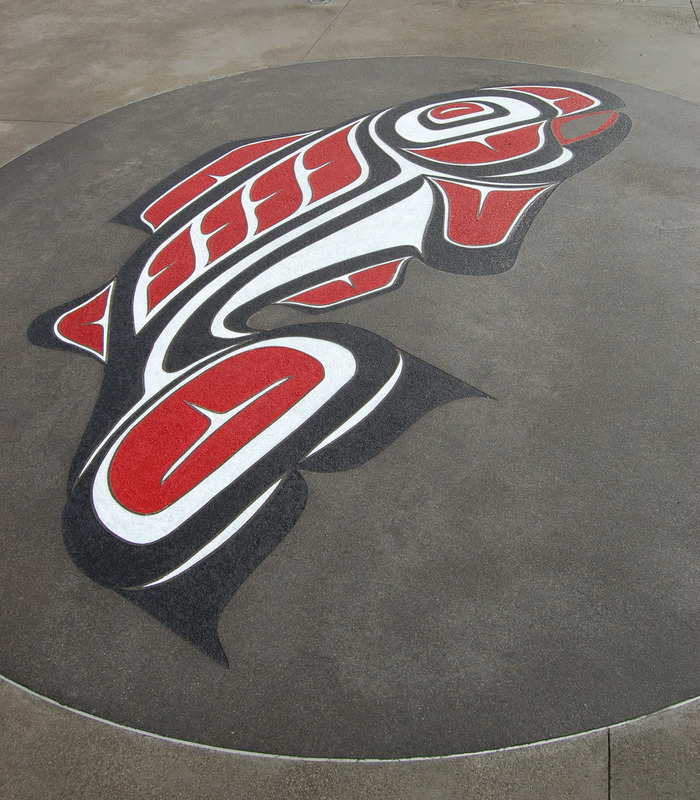 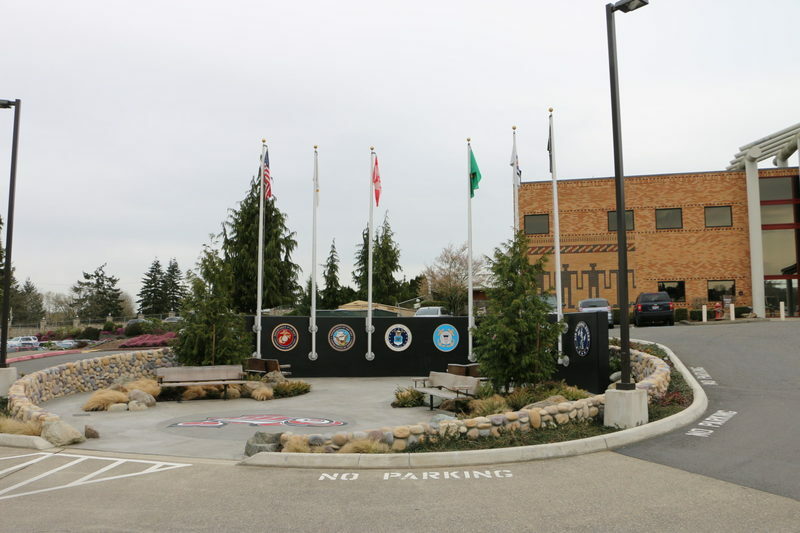 Designed as a sacred circle with features that emulate a river bank, the Puyallup Tribe of Indians Veterans Memorial is a welcoming place to sit and reflect upon and honor our military Veterans. 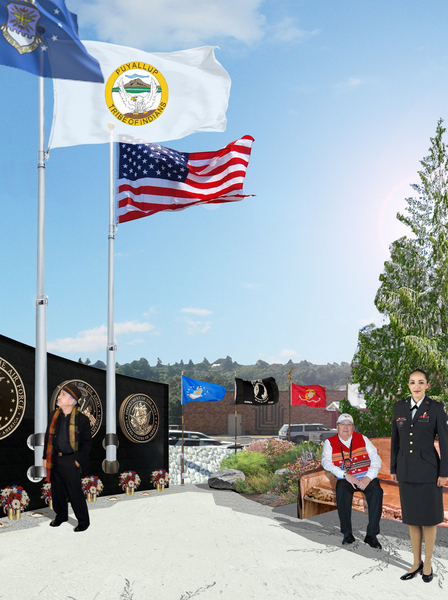 Along with wood carved benches repurposed from salvaged cedar trees cleared from the project site, new landscaping to admire and young evergreen trees planted, the memorial’s main feature is a 50’ long radius wall featuring eight bronze medallions, 36-inches in diameter, representing eight branches of service: Army, Navy, Air Force, Marines, Coast Guard, Merchant Marines, National Guard and Air National Guard. 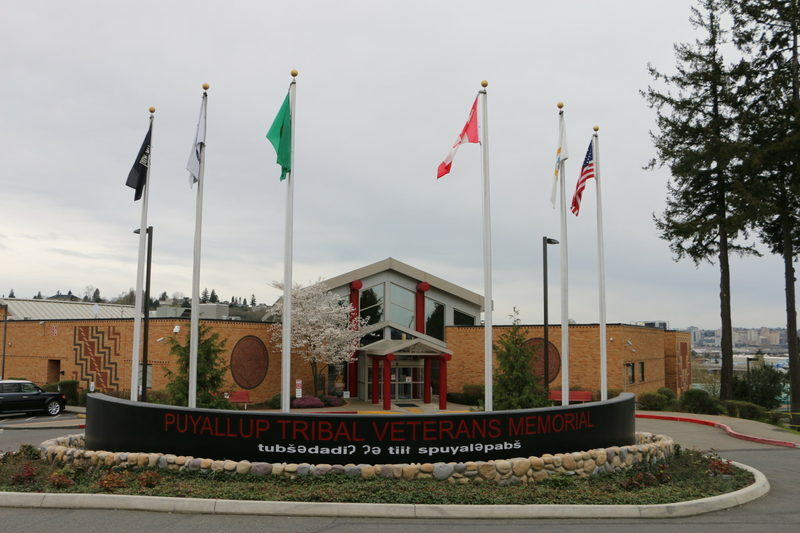 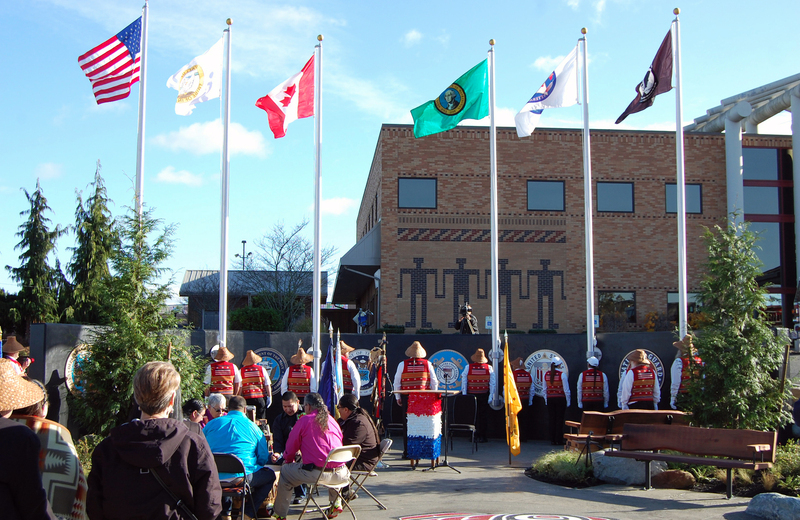 The wall also incorporates six 25’ tall flag poles to display the flags of the Puyallup Tribe of Indians, Puyallup Tribal Veterans, Canadian, United States of America, State of Washington and the POW/MIA.